We offer lightweight solutions, either as unframed boards for secondary works or finished panels with peripheral timber framing and additional internal framing if required, to your exact requirements. We can manufacture a tailored ‘any size & shape’ solution. 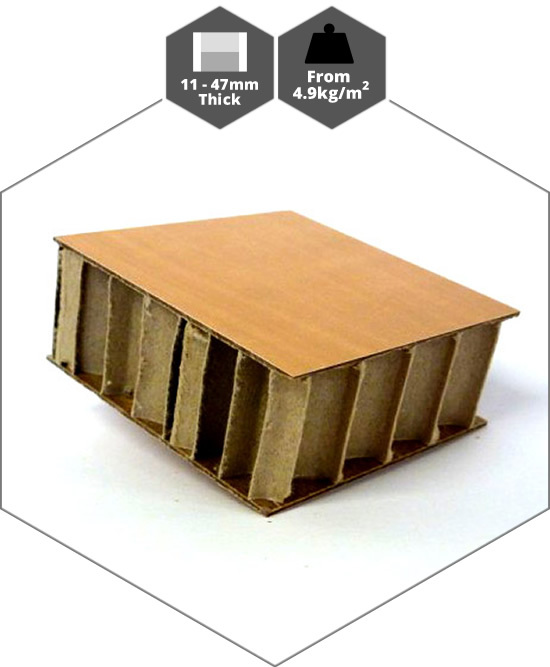 Standard thicknesses range from 11mm to 57mm (see product specification) and jumbo thicknesses are available for special order. 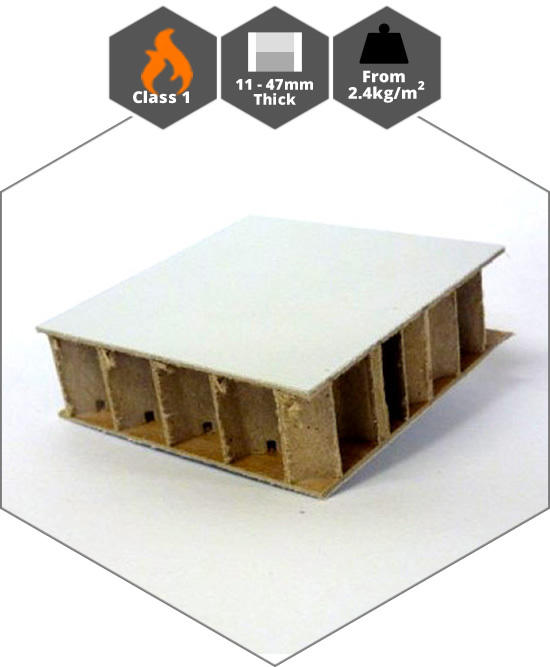 We face our panels in a wide range of options making them the ideal solution for all applications. 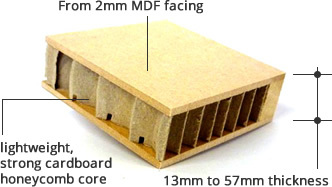 Please see the product specification for full details of our HDF, composite card, laminate, plywood and MDF finishes. Panels can then be painted, printed or fabric covered to suit your project. Foil faced and vacuum formed options also offered. We are here to help. Please use live chat or call us on 01449 612145 for advice on materials, finishes and specification for the most cost and time conscious solution. Q2 is used in many applications including display panels, notice boards, fascia panels etc. It’s suitable for Pin to!, Paint to! and Print to! or Fabric covered. Thickness – Q2 is available in a variety of thicknesses from 12mm to 48mm. Jumbo thicknesses are available for major projects. 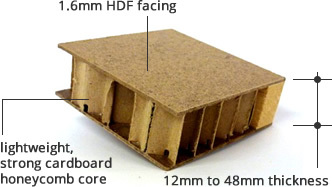 Q2 is faced with HDF and can be supplied with or without a timber frame. Additional internal framing can be positioned in accordance to your design or fixings requirements. Panels can be supplied with finished decorative edges. 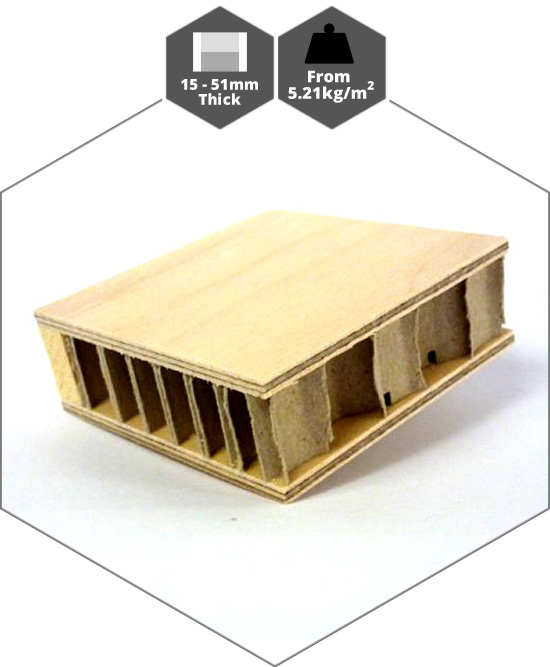 Q5 with its robust wood facing can be supplied in specific grades or pre-veneered plywood finishes and can be used for door panels, shelves, partitions, furniture panels etc. Thickness – Thickness – Q5 is available in a variety of thicknesses from 15mm to 51mm. Jumbo thicknesses are available for major projects. 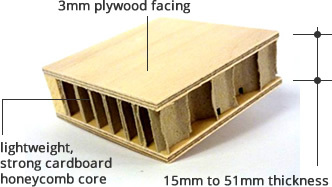 Q5 is faced with 3mm plywood and can be supplied with or without a timber frame. Additional internal framing can be positioned in accordance to your design or fixings requirements. Q3 is used in many applications including display panels, suspended signs, notice boards, modular displays. It is Class 1 BS476 Part 7 and Patented to European Patent No. 0068873. Its suitable for Pin to!, Paint to! And Print to! Thickness – Q3 is available in a variety of thicknesses from 11mm to 47mm. Jumbo thicknesses are available for major projects. 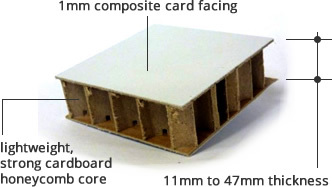 Q3 is faced with 1mm Composite card and can be supplied with or without a timber frame. Additional internal framing can be positioned in accordance to your design or fixings requirements. Q10 is suitable for many applications including office screens, door panels, wall boards, furniture components, exhibitions etc. Thickness – Q10 is available in a variety of thicknesses from 13mm to 57mm. Jumbo thicknesses are available for major projects. 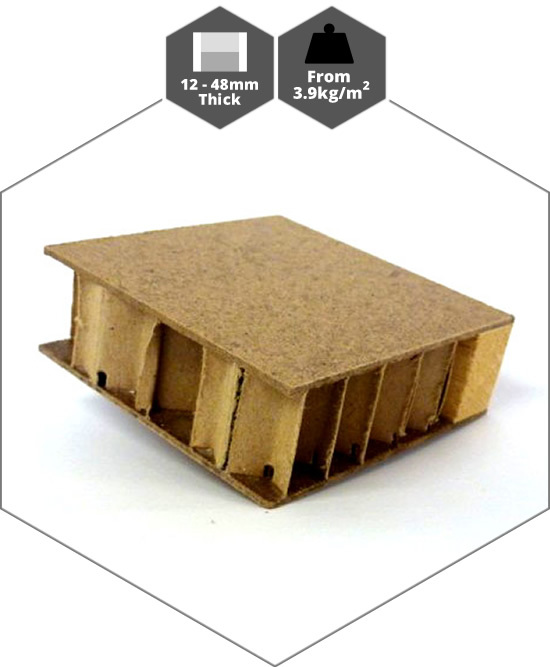 Q10 is faced with 2mm MDF (other thicknesses available) and can be supplied with or without a frame. Additional internal framing can be positioned in accordance to your design or fixings requirements. 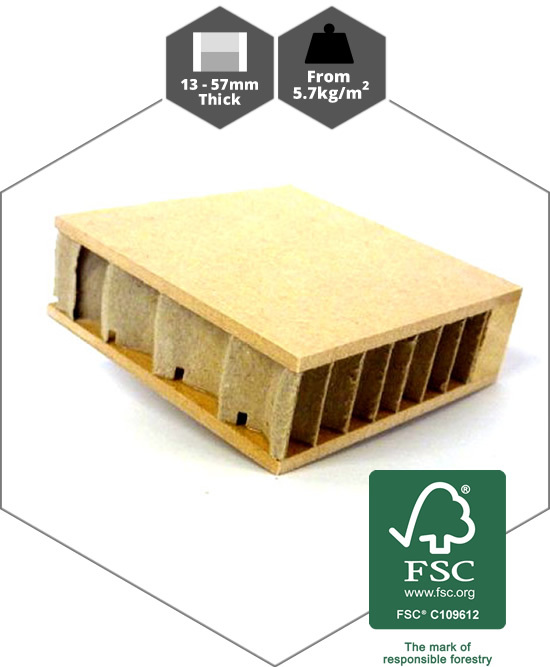 Q10 is also available as an FSC product. Q4 is available in a vast range of laminates and is used in many applications including wall linings, signs, furniture, POP, exhibitions, cubicle panels etc. Thickness – Q4 is available in a variety of thicknesses from 11mm to 47mm. Jumbo thicknesses are available for major projects. 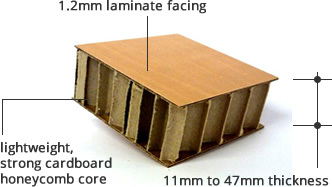 Q4 is faced with 1.2mm laminate and can be supplied with or without a timber frame. Additional internal framing can be positioned in accordance to your design or fixings requirements. Q-Curve is suitable for display panels, signs, room sets, office furniture, exhibitions, POP, partitions etc. 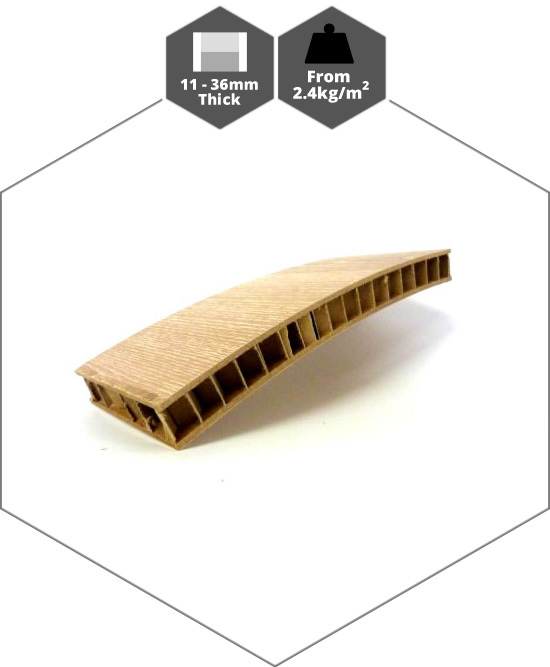 Thickness – Q-Curve is available in a variety of thicknesses from 11mm to 36mm. 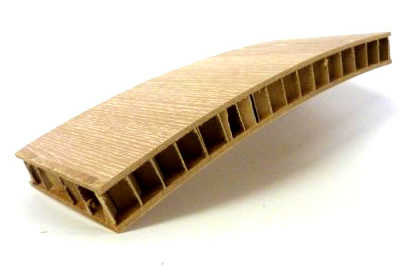 We can take Q2, Q3, Q4, Q5 & Q10 and form them into curved panels. Sizes are up to full quadrant. It soon became clear that QK were both professional and uncompromising, instilling confidence that they could deliver a large order of bespoke interlocking panels in the timescale.